In todays episode Brett interviews Jason Urbanowicz from Create Pt Wealth. Jason was a struggling Personal Trainer getting frustrated with earning a measly $17,000 per year! Then something amazing happened… he was introduced to some strategies and mindsets which turned his business and life around. In less than 12 months he had earned over $120,000 AND only worked 20 hours per week. The following year he had more than doubled that again and it hasn’t stopped. He is the Co Founder of Australia’s Largest Coaching program for Personal Trainers called Create Pt Wealth. This is a episode that you will want a note taking device handy. Hello and welcome to the Fiit Professional podcast I am Brett Campbell and you are tuning in to today to another fantastic episode. I have got another special guest today, the special guest is someone that I know very well and personally so I am very excited to have this person on board with us today. But again as always if you haven’t listened any episodes prior make sure you head to podcast.fiitprofessional.com.au so that fiitprofessionals with two II’s bit of mouthful there and we might have to change that url I think to make it a little bit easier but head over there put your details in so that you won’t miss out on any of these upcoming episodes. So without further ado I am going to give you a brief overview about tonight’s guests and then we are going to start straight into another conversation and I have got some pretty cool questions that I want to be asking today and we’ll actually surprise the guest as well even though I had given him a bit of a heads up about what we are going to talk about but nothing beats beyond the spot of the moment. So the guest that I have today is not only a great friend of mine, a business mentor and a coach also to myself. Actually the last 5 years I believe we have known each other and his name is Jason Urbanowicz. Jason Urbanowicz he was a struggling personal trainer like many of us when we started, he was getting frustrated with earning and paying over 20,000 dollars a year and then something amazing happened, he was introduced to some strategy that helped him break free from his limitation which hopefully turned his business and his whole luck around and in less than 12 months Jason went over to earn 120,000 dollars and basically he was only working 20 hours per week. The following year he doubled his income again and that basically hasn’t stopped since then and Jason also witnesses other trainer’s frustrations with limitation to the business side of things and he has dedicated to take action and provide them with assistance to success. 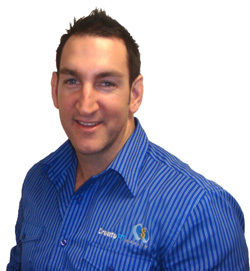 It was around this time that Jason joined forces with a good friend and Australia’s highest paid personal trainer, Brad Sheppard and they formed Create PT in December 2007, and since then they have educated thousands of trainers on the methods on how to boost the profitability for their business, whilst living their dreams. So quite PT well Jason was a partner with a multimillion dollar personal development company so he definitely knows firsthand what it takes mentally, emotionally and intellectually to go from struggling and then running a multimillion dollar company. Today Jason is one of the directors of Create PT Wealth and continues to teach workshops to thousands of trainers around Australia and the world. He is also a co-author of two bestselling books and also international speaker so I think that wraps up the interview and we could probably call it a day, what do you reckon? Is that everything about you? Jason: Yeah great thanks for having me. Brett: No problem. So Jason, let’s just give the audience a little bit of a background on how we met. I will paint the picture so you can elaborate from there. It was about 5 years ago, I had moved over from New Zealand to Australia and I have decided to become a personal trainer myself, and then I always knew, there was someone who wanted to take action and make sure I was doing the best I could do in the industry. Actually what I did I shipped out people in the industry who were doing well, that’s where I basically came across Jason and Brad who are the co-owners of Create PT Wealth and I came to the workshop with these guys and learnt what they were all about and with teaching I basically joined forces with the boys and fast forward to 5 years, we are best mates and I hand it over to you, you can fill in all the exciting parts. Brett: We have just spoken about me and what they want to listen to I suppose. Jason: I guess in relation to how we met you are exactly right, you attended our business training boot camps with personal trainers which is all about increasing lead generations and profitability structure and systems and having some people meet there for long term success in the business so yeah you attended that work shop as he has explained backed upon what we call our internship program which is full of services and from there, educate in the process of lead generation and online marketing which I might say you well and truly exceeded way beyond what I have ever done online, you know just really grasp the concept of running a successful business and from that your business went from strength to strength identify the online service where you are really passionate about. We set you up as a coach and I think it was 3 years hoping to educate and mentor other trainers from the success you have had and the systems we were teaching so all I can see it’s an interview about yourself but I guess the main thing is that we were fortunate enough to meet and I am a big fun of training myself with people that, have that drive, have that ability to see opportunities and jump on them which is exactly I saw on yourself and no doubt you saw on us, it was great opportunity to meet and work, and see we are there talking about how we can inspire other trainers to do the same and look beyond just the fact they are a personal trainer. Brett: I totally agree with everything there especially the part how we, I guess if we run the clock 5 years ago we would never have thought I’d be sitting here in my headquarters giving you a call and you would talk about how we can help other trainers and increase the profits and basically for me it’s all about living that cost I know you are definitely an advocate of. Let’s get started and start giving some great interview out here. I have seen a few questions and like every person that I interview in this podcast and I am a big believer in follow the lessons that we can learn in business and so I am interested in finding out not only with Create PT Wealth your personal development company what is one of your biggest business lessons that you have learnt? Jason: I have seen these questions come through, when you have been in this business for long than I have been, there has been a time if you ask me 5 years ago it would have been narrowed down, I mean it always come back to the basics the biggest lesson I learnt from this for myself personally and it can be different to different people, for me I had no problems taking actions, but also I have had a lot of a mess, we are doing that so I could get out there and get things happen. But really I didn’t have a clear vision and clear structure of why I was doing that , I would get to the end of the financial year and I would be hoping it was all in my favor, so the main business lesson that I learnt in my opinion, if you are going to be in business, you don’t have this really in place, you are running your business on luck, you need exactly to know why you are in business, what is the purpose of it, is it to give you a retirement or to spend time with your family why you are getting up every morning, to do what you do and I didn’t know that from the start and so once it became clear it made a lot of things decisions in my business a lot easier so I am amazed, I look back at myself when I have educated over 4,000 trainers now people hadn’t made a tax return in over 3 years, people that really didn’t know what they want their business to earn in 12 months. I guess the biggest lesson I have learnt you have to be clear, you have to spend the time and energy to sit down sharpen that sword before you start coming down the forest, make sure every week every day you are doing exactly the activity daily that is going to take you in the right direction and then you have got to measure everything. I am a big fan I never used to do it for many years of really stopping and saying hey, do we have a clear plan, doing what we do daily why are we doing it and can we get the feedback to test and measure that. So if I am going to do marketing or sales, come up with steps on that, do I know exactly what I am spending and what am I getting on return so for me by biggest business decision was making sure that I could explain to someone clearly that you are somebody else in every area of my business, why we are doing it and what is the result and what is the return on investment. Brett: That’s a valuable lesson and I put up my hand as well and I am sure everyone listening does that. For myself I used to struggle with that being an entrepreneur and an action taker. It’s really fun and exciting to be able to start new ventures but then it comes back to them. Is that venture worthwhile pursuing? Let’s comment on that for a moment. Do you have specific examples that we can break down just to hammer home the point of being able to track and measure your investments because I know personally that I struggle with it and I also know through coaching hundreds of other personal trainers as well that it is certainly an area that certainly gets overlooked. Just to elaborate on that as well maybe you could even with all your personal general knowledge maybe you could touch upon why we do that why you think we probably steer away from the tracking and measuring side of things. Jason: Just to be clear to answer your first question an example would be some of you track and measure? Jason: Yes I mean, ultimately it depends where somebody is at. If I look at my business for example what I would do and if I was a personal trainer and to make it really simple, look at the fact that I might be paying rent, I would really sit down and I would work out exactly what does it cost me to run my business, if I am paying insurance 50 bucks a week, rent 1000 bucks a month I know predictably I have 1000 dollars a month, 12000 dollars a year that I have in order to run my business. Now for me if my business would only cost 12000 dollars to run I’d be high and everybody pass me in the streets but I would look at it and so the basic level I know I need to be able to look at that is my expense and now what am I making so if the business grows to 60000 I could clearly define that I have invested 12000 dollars to get a gross return of 60000 dollars that is for the really basic level and I find most people not just trainers but people in business couldn’t tell what does it cost you to make that return they would be able to tell us. Any business in my training or experience, any business that’s returning a 30% return is a really good successful business, other thing you should look at is that you are spending money on lead generation so play some ads on Facebook, I am spending 100 bucks a week I would really want to know at the end of the week a couple of things. Ok how many leads did I get through in that week, if you are good you get 50 leads a week we can work out what that equates to per lead and then the next question I ask is how many of those people are you converting so out of those 50 maybe I have only got 5 people that become actual clients of yours and for me you can work the average spend and that persons income is 5 and you have worked out and the average spend of those people to keep it simple is 60 dollars per week and you can start to get a sense of is that a good return on your investment. Now unless you can demonstrate those figures once again it just gets work and once again it is a simple level and then you go into sales process. So you have 10 points a week and you have only converted 3 so I would say something seriously wrong with yourself maybe you don’t have one and each time you are doing it is different and you don’t have an unpredictable method for doing sales and that is reflecting in your results, so you go and to be able to follow to the very end to the bottom line which is how much profit is coming into your business and if you can’t do that like I said you are really guessing and that’s gambling to me and all I can see you are putting 50 bucks on luck and hopefully it is going to turn into your favor so that answers your question. Brett: Yes. I just want to talk about that a little bit more and its quite funny you bring that up because today alone I have been doing some split testing so we have got different web pages that all we have done is split tested different images on one of our screen pages and today I have noted that one page outdone the other by 12% and I know by seeing 12% that’s an extra 80 to another 120 leads that we could actually generate ourselves per day so you know I can look at that and what’s that extra 80 to120 leads mean to us on the bottom dollar. Just the tracking and measuring and moving to my second part of the question which is more psychology behind it because I have heard personally used to hate numbers never really wanted to look at that them I didn’t want to track how much I was earning I just wanted to put the money in my back pocket and spend it, now I guess I go to the other side of that and I get used by the numbers now and talk about 12% and show a lot of people even at that was a 5% increase its still an extra 40 to 100 leads per day. Let’s talk about the psychology of why people probably resist that. Brett: Like I mean, procrastination is a subject I was a top student and definitely had to work at overcoming that and am happy to say that probably it is one of my worst subjects moving forward but the key thing I guess is that it doesn’t matter how intelligent you are or how much work you are still doing, there is always in my opinion there is still that element of you can feel yourself just starting to procrastinate the good thing about it is that you are able to identify hold on a second you are doing the same thing you used to do again, do you have any tips or any strategies that you think you will be able to pass on to listeners that next time they feel that procrastination is coming and they feel resistance to an actual activity and what can they do about it? Brett: That’s great, that’s fantastic. You totally and you know the gap is definitely something that you want to learn whether you are in business or even in your personal relationships. If someone in your family pisses you off. Pause for that moment start breathing and if you feel you want to say something turn around and leave through the front door because you will regret it. Jason: Yes we all have different personality traits and personalities is not who we are it’s a collection of habits and behavior some are key that helps us get through life without getting more wounding so it is not really who we are and under pressure, and when you are under pressure and stress that’s the easiest place to find and what I call default behaviors. My biggest step to people is that people tend to have a new forum so I stop talking and getting in shape and get a new job. Just turn a new leaf and for the last 10 years what I have done is just if I could work on 2 habits or beliefs or programs that I can spend 12 months being disciplined to do that, in 10 years I am going to have 20 new empowering habits or traits than get to 20 years down the track and still running the same old way of doing life and getting the same limited results at a basic level if I just focused on more being relaxed under pressure, you can ask yourself how will that serve you, what results will that be? will it better in sales, better in conflict, better in arguments maybe getting a car and giving a speech so people I think don’t understand the power of one and then under estimate it and thirdly and discipline to focus on one particular area for 12 month to perfect it but if I would say someone to come and pay it would really be helpful to practice meditations daily for the rest of your life. It can be hard for people to comprehend and one thing I have got to do, if I said I can teach you a process which you will relax in 10 seconds so you can increase the conversion of your sales to make better decisions and stop having arguments and stop giving threats at the wrong time, when you are in arguments you pan out and you said the bit you knew shouldn’t have and all those bits are going to make a big difference in your life. Brett: Yes that’s fantastic words of wisdom right there, so I guess some one seated somewhere and you had to find out about other things and what do you recommend? Jason: Read a book called mark you see, mark you don’t. [0:23:57]Brett: Yes I was going to say that there is a book called mark you see, mark you don’t. it has been a running joke for some time. I am a big fan of the book myself whenever I am feeling tired at night just put to straight to sleep. On the flip mark you see and you don’t there is a book mark worte with another gentleman who taught you the craft..I would highly recommend it and what I would do, I will talk to Jason and we might be able to work something out. Maybe you guys can read it it’s a fantastic book to get your hands on. Brett: What I will do is to get on our website here and people can get their hands on it because I would definitely recommend whether your struggles are in business or in personal life. Whether it is just yourself it is definitely a book that you are going to break through and belief because like I said it is not always just about business so if you don’t get yourself right and the first instance and the business is not going to get to the success that you want it to be and I am a firsthand advocate to that. My biggest road block if I could call it that was myself, I never lacked any business struggles, skills etc for me once I think for me is once I could identify my own behavior and it totally transformed me so that’s awesome. Jason: To answer your question about where people start, my tip to people is start down the journey on the path of understanding yourself better your limitations, your strengths and weakness is that means finding someone who has a personality profiling just taking note of some of your behaviors that you find are limiting, write them down, recall them and ask yourself, how would I rather be and the first step is always about trying to be aware and wanting to be aware and a bit like you, the day I actually took the responsibility for my life was a big shock and you know they say ignorance is bliss, on the flip side when you realize it you are responsible for who you are and you stop blaming other people, you start being a victim I certainly did I put myself back in the driver’s seat and was in the control, people would say to me Jason, I would like to stop smoking but I can’t, I said you change one word and you are half way there to have a breakthrough on this area, I said you should just change the word I can’t to I won’t and if you are listening to this podcast, there are two kinds of different things when you say I can’t you are saying the power is out of your control, there is some mystical power that shoving that cigarette in your mouth and lighting up that’s really what we are saying you are a victim of this process and when you say I won’t, really what you are you are saying I’m just choosing to smoke. So I saw the people instead of beating yourself up with I can’t and all the rest of it being, just say at the moment I am choosing to smoke because that’s what happening that will give you the power to when you want to stop smoking and that’s the everything in your life, the moment I said you are responsible for who I am that means I have the power to change it. If I am blaming my boss, I am blaming clients and other people basically it is convenient way for me not to take any actions to doing about it. So we just have to be responsible for where we are at, so we can do something about change like I said start with being aware with some of your behaviors, be brave be honest and say these are the things I need to improve on and then it is your job to go and change them and it is my job and to do the things that I wanted to improve about myself if that is really like I couldn’t tell the amount of books, audio courses in this area, I would rather become accessible like Brett said the biggest road block between me is getting the thing I want and so it was up to me to say a thing about it so learning to mediate, relax under pressure and all the things is very powerful and very healing to people and it’s the quickest way to move forward in my opinion. Brett: Awesome. I guess the question I have is once you are obviously able to grapple yourself and put yourself into submission, what were some of your biggest business lessons. Jason: One of these lessons, I guess it is the start of the interview and that is keeping track of everything, but you need the biggest lesson I realized is that I couldn’t do it alone when I said I couldn’t, I could do it alone but when I realized is that I could do it alone but I could train myself with very influential people and the time I wanted to move forward, I looked at the top 5 people I spend my time with I realized they weren’t really headed to where I wanted to be I am not saying I ditched them those people but I realized hang on, I had a saying if you add the sum of people that you hanging around top 5 people that’s probably an average of what you earn, it stun me because I thought it was spot on I had to get myself around people that are further down the track than me or at least heading in the same direction because I think they have paved the way for me to follow and that was a big step for me I had a big ego to let go off and need help before I found these people I got myself a business mentor, I realized that was something I needed to do as a trainer I saw people were beginning to paying me to be their coach and I though here I am wanting to be better in business and I don’t have a coach. I know myself there are things I could get there but it could be a struggle for the road, and actually I got to the point where I professionally lonely as well because its just you and you have got inside your head and you have got no one to bounce off it was a struggle and for me to meet people like Paul on the side of it. Those people were pivotal for me moving forward and to answer your question actually get the right support and get yourself around people that have been there and done it. Brett: Perfect, I couldn’t agree more, let’s change tact a little bit and you started working with thousands of trainers over the years and speaking to those trainers. Now there has to be some common similarities that can generally pop up with regards to frustrations and lets pick one of those issues and have a chat about it. I am going to put you on the spot. Jason: Once again there are a number of key issues if you ask me to pick one the one that jumped out of me when you said, the biggest the baddest that jump out of the covers is when trainers get their business upto their capacity I am doing as many sessions as I can and then very next week or within next week they have 3 or 4 clients leads and those particular clients could be doing 3 or 4 sessions each it can be a dramatic drop in income so I have lost amount of time trainers coming and going, everything was going great until these people dropped off and it can mean 3,4,500 dollars decrease in income that’s never again especially without warning so it is one of the key frustrations, so you get into a business, we get ourselves busy its all going sweet and then we arrive at what we call a yoyo effect where 100% of that is income and lifestyle is been depending on one person and that is them, there is a difference of having a business or being self employed and it can be stressful, I have been there myself and you kind of hoping all your clients turn up for the week they all do the sessions at Christmas time and people are going away and ultimately if your only source of income relies on you getting money then it is going to be an issue, it is going to continue unless you are touched by an angel and for some strange reason to 20 year solid without an experience is never going to happen, it is a real concern for trainers. Brett: Let’s talk a little bit about and look at some strategies for those trainers who are actually experiencing or even haven’t experienced it or it is a matter of time before it does happen, because I know myself I am just a quick back story I was going all well when I started training and I had my clients and all of a sudden I had four key clients drop off which was more than half my income so I dropped off that. So let’s talk some strategy trainers can do and maybe not stop it from happening but being able to ride the wave a lot when it comes. Jason: My foremost thing that I put in place when it happened to me was getting upset by or getting stressed by it and once again it happened once and you weren’t aware of it that’s different but if it happens again you have no one to blame really but ourselves. What I designed was a 21 day cancellation policy I am not saying it needs to be indoor but however it needs to be enforced and it needs to be spoken about maybe upfront, so counsel whatever you want to call it, and make it to the client very clear and the way I portray to clients is that I have limited spots in my business and you are taking one of those spots for 2 dollars a week. If at some stage you feel there is something that concerns the training I will appreciate you tell me straight away so we can resolve that. Secondly I do have a 24 hour cancellation policy in addition to that I have a 21 day cancellation policy if that is something that you are going to decided to do just move or whatever just didn’t want to continue the training so I would talk about that paints the picture in the clients mind that is the reason being they have got a spot. Im just going to be honest with all my stuff in business and I would say in reality it is going to take less than 3 weeks to replace your position so what I will appreciate if you could let me know as soon as possible what that will incur and what they will give me, it did take me 2 or 3 weeks to replace a client. It also doesn’t stress my time feeding my family or the rest of it because I worked out I could get a new client for my I felt confident in that process and it also meant that the dramatic drop of income was not going to fall away that very same week. Brett: That’s a good input that I know will definitely be useful to people and especially trainers whom I have with them and trainers who have been in the industry for many years longer than myself even and one of the first things is trying to find hidden money in their business and you just need to look at that and go imagine in that 12 month training you actually had 21 day cancellation policy and lets a client was paying you 100, 200 dollars a week for training fees that extra 21 days is another 3 weeks’ worth of income another 600 dollars per person and you put to 10 people, you are looking to close to 6000 dollars of extra income that you could have and that is not by going out to get more clients, it’s about how you can get more out of your current clients and if you can rewind back and listen to what Jason said and its a very very very very valuable information and especially in the upfront concentration that’s where it is handed down you can’t all of a sudden surprise them and say oh I didn’t tell about it but we do have a 21 day cancellation policy so they are very valuable thank you. Jason: When you sit down there and say I don’t know about that, this is back to the development side of it and that is something you need to resolve for yourself because there is a block around that or having the conversation they’ll bring up what they may say my experience and if you allow me to be your coach in this moment and just stay open to accept this advice, you have to bring up this up at the front like Brett said so you can deal with any issues someone said I don’t know about that 21 day thing I would ask the obvious next question and argue about it be curious about it and ask what about the 21 day that you have an issue with, you may need some more information my experience is that 9 times out of 10 its never an issue and something else that I realize if someone did have an issue with that because they have an issue or with something like that there is also room to negotiate I am prepared to go the 21 days prepared for the two weeks so its 14 days and that really then helps this process but the reason I’m telling you this is because I didn’t make it up on the spot last night its not because it sounded really cool and there was a struggle and I found a solution all you need to do was to struggle and apply it and get the results from it and if you don’t well I will give my favorite quote which reinforces this from Brett put it as a reminder ask me what my favorite quote makes perfect sense here about not using something. Brett: So what is your favorite quote Jason? Jason: Funny you should ask my favorite quote is from Mark Twain this one in this area was a big highlight to me Mark Twain said it’s a person who can read but wont is no better off than the person who can’t read. So if you have been given a bit of information and you don’t apply and don’t use it, you are not going better than the person who hasn’t come across it or have a privileged to get that information given to him because believe me it’s a simple technique maybe from the end there is a lot of blood, sweat and tears and money, time and investment to work that out, so if you get like a free book and put on the shelf and don’t use it, potentially can cost you a lot of money and you definitely cannot make a lot of money. Brett: Excellent. Thanks for sharing that I guess the question that I have and I am always curious to see what would be the answer to this, where do you see this industry getting in the next 5 years? Where do you see it? Jason: Brad and I sit on the council of fitness Australia so We are heavily involved with what is going on as much as we tackle the personal development business side of it. I can only go by the stats I have seen and it has hit the double, at the current stage it is right about 40-50 thousand dds trainers at the moment, it will hit the double for the next 5 years. One thing from a trainers point of view, the reality if you look at the test of time and fitness it is only evolved and developed. In my opinion it is going to be bigger and better I don’t really have a clear picture of what I think and where I think it is going to head but in terms of our industry being strong in the next 5 years that’s a big thumbs up for me and the time now is to act in terms of being a profitable business the other thing I look at is you never know what is going to happen. I have seen a big move online, people purchasing online products but that’s has been around and to answer your question our industry from the stats I have seen some people joining gyms in across the board it’s one the fast growing industries there is at the moment. Brett: I guess we just need to look at the academic there is because there will never be a shortage of people to train and so I guess it just comes back to in 2 or 3 years it will take a turn for the worst because initially it had a good 3 years. So I guess in regards to that moving forward what’s in store for yourself? Jason: We still have goals to educate more trainers, we were down in America this year and we made some conferences and made some really key connections so we gamble global and that’s the family car for us, we will be places like the United States, England, South Africa and some other places so we are going to expand and go global and we are at this point specialized in the last 5 years being in Australia I guess helping our back yard first. Now we are going to become global and our ultimate goal is just to be the number one educational providers for trainers who are serious about doing a successful business and we have got some really good online programs and developments as well and we would right a series of bestselling books and the key is to keep impacting people and the thing that excites myself Brad is the relationship that we have developed with you but you see the impact it has on your lifestyle it’s not so much about the business its about what we have survived in. our goal is we were sitting at the end of the day and we were looking at some of the stats and for people we have educated throughout our coaching and internship programs and then we were doing some quick and the people they have employed and I guess what makes me proud talking to you now in this call is something I haven’t thought about until recently we have actually played a massive part by providing more jobs and more opportunities in this country. You yourself have employed multiple amounts of people and so far we are getting hundreds of people that we have had a part to create more job opportunities because not every kind is going to be a business owner and we played a part and we want to continue with that and make this industry strive and be strong which been so good to us. Brett: True. That’s awesome man. And also congratulations for that and you guys for putting all that effort, it’s not about the people you directly touch and the people indirectly as well that’s a massive opportunity as well. Moving on I guess we are going to have a bit of a question interrupt here and spice things up a little bit. I have heard this on the radio and I have actually liked it, and I am going to be adding this segment to the podcast, its called shoot, shag or marry. Jason: Am I the first one? Brett: You need to tell us what comes out of your mind either shoot, shag or marry, for people with me who may get upset that he may shoot someone is not real. So first person shoot or marry Madonna? Brett: Yeah that’s a good call you can’t be shooting her that’s for sure. And last one Mirrelle your wife? Jason: Ok so I have already done that so I would go with marry. She would want to shoot me some times. Brett: Yeah she would probably do that. Thanks for being a sport on that. Something that I am always interested in when am talking a lot for myself I am always thinking if I was given 1000 dollars and only the education that I have what would I do? To build a business or a company what would I do? I would be interested in what you would say about that. If I interest you in 1000 dollars and all you had was just your knowledge, what would you do to start your business? Jason: You have given me a 1000 bucks and I know what I know now? Brett: Yes sure. Which is not much s good luck? I will be a sport and give you a 600 dollar dell computer. You are mac man so I will give you a Macbook. Jason: That’s fantastic. If I knew what I know now I am just thinking when we started we had a title spin when we started in 2000 so we are not so far off. I guess if I knew what I know now I would definitely spend the money on lead generating marketing and if I had the business concept in my mind and I guess what I have learnt successfully is how to market and I just doing the figures in my head and the lead I can get from a 1000 dollars. At the moment in my business, I can get a lead for about a dollar. So I would have 1000 leads coming in and that would be my avenue I would definitely get a website without paying for it no question about it. Jason: To answer your question because I understand marketing and lead generation and copywriting I would be able to sort a website and lead within an amount and if I could expand on that..you know with us we know what a personal training is, you are in a marketing business so two key areas you have to understand systems and spreadsheets but you can get somebody to do that for you. The thing you need to understand is how to market and position yourself in sales and based on my analogy if I could teach anybody you need to understand how to do marketing beyond using the right key words and position yourself that would something I would get myself involve in to stand up one of my self alignment, one of my first online mentors said he was just talking about it and I will offer if you have 10000 people on the database and build a good relationship with them they have great information and they are following you so they are like a tribe of followers and just one day you need 10000 dollars for whatever can kidney transplant a date with the queen and you could ask that list for a dollar each provide something with value and then 10000 dollar and the power for me is in having database and having the leads. Brett: I couldn’t agree more. I guess tactical over there and we look at lessons that we learnt, if there is something that you could do differently or could have done differently that could have a different result what could that be? Do you have any of that story for us? Jason: If there is one thing if I really run the clock? Brett: Yes if you could something differently or change something slightly. Jason: Yeah, sure I think there are lot many stuffs, yes there are something and thinking about it makes me cringe ..I guess the first thing that pops to my head I wouldn’t have got myself around the right person or people. There wasn’t education stuff out there if you look at training specifically, I would have done that, I wouldn’t have waited for so long and back then I didn’t know what I know so I would have definitely got help sooner I would have not tired to granted out and, I would probably my pride and get some help for me I would initially have a look at the investment I would have to pay and..my..i would have just pull, I would have attended seminars or go around the right people a lot sooner. Brett: Sure. So if you were given 60 seconds to speak and to address the nature of the person trainer..what would you say in 60 seconds, I am going to set a stop watch here. Brett: If you had 60 seconds to address every personal trainer in Australia and the world and you were given the stage and every personal trainer will be listening and you had 60 seconds I would be setting the stop watch right now. Jason: I address them on what I think would be of value to them. Brett: Yes, you give 60 seconds of you. Ready and go. Jason: What I would say is design your life first. You are trainers but design your life first, figure out what you want to learn and figure out what you want for your family and make the business that you don’t go out there and show your time for money, make sure you get a mentor and coach who is going to assist you with that and understand you are in marketing business and sales and understand you are not in a personal trainers business become a trainer second and become a business owner first. Brett: You have another 30 seconds you are on a roll. Jason: What I learnt is not the measure of time and I am happy with that, that would be what I would say and that probably sums up today and putting a business owner on and designing a business in lifestyle first and make the business fit what you want make sure you have a clear vision of what you want to do. That’s a nice exchange of money for you and what you have got out there. Brett: I will stop you there and that felt like a long 60 seconds that goes to show how much can be said in 60 seconds and this makes me think I should make this podcasts 60 seconds. Jason: I wouldn’t say am a big fan of Donald Trump in terms of person but I can definitely admire him and I think he is an amazing entrepreneur. He does 60 minute meetings and 45 is just a waste of BS waste of time and 60 minutes is just straight to the point I could imagine him not having a lot of patience. Brett: Its funny I remember reading something about Donald trump and he is obviously an amazing entrepreneur with what he does and he was talking about how he has an entourage following him around and people are asking who are those people and the person telling the story was like that’s plan B, that’s plan C, plan D and plan E. what do you mean? Well he goes that person there covers plan A and if plan A doesn’t work he implements plan B and plan C so lets talk about that and having those back up strategy we talked a little bit about earlier and I guess it took some synergy with it. The fact that personal trainers have some cancellation policy, that’s a plan B right? Lets look at plan A, plan B options that we can provide our listeners today. That’s another on the spot question. Jason: I want to make sure to understand is that an example, inflation policy. Brett: We are not recommending people to carry an entourage for people who have back ups unless you have got a billion dollars in the bank then you cant do that. I think it is very important if you are one of those listeners who have personal trainers. I think back up plans and rainy day plans are always good things to have. Jason: That makes sense…I could use a back up plan as a strategy like a business and if you are a businessman, you can choose 6 o’clock on a Monday, Tuesday or Thursday make 5 times over and definitely you have got a premium ..that’s why you can increase your profit without doing any more work..that’s definitely one if it is being one of a trainer maybe they are the reason they cannot afford your service by cutting through out the week they can get there and maybe you can get 2 or 3 together for a cheaper rate but a high rate as you. You can make that work, I have had a session with one of our students and he switched totally off for that reason, you can offer additional training programs and we can get on a different for the moment. You can have a program that they can purchase as a game 29 dollars a month and they can get a training regime video and they have to follow it and that went really well. We all are going to be mindful of not being limited by circumstances and a back up plan over Christmas. There are a couple of things you can try I believe in different strategies. To get a cash injection before Christmas and also trying to have a team of trainers and the whole income from them, you have to think about..to make money if you are so independent, probably like 10 months, I would say Christmas and the holidays Adjusting based on being more realistic definitely wait until the start of December to start thinking about how you can over come an issue. In Christmas I used to like when I was a trainer I would go to a client as fast as I could who is going away for Christmas and how long are the going away for Christmas and then I can think about some potential income decreases and had to figure out what I can actually make sure I wasn’t sitting at a corner somewhere on Christmas night hating because am stressing about money that would definitely another back up I would say. Have some offers and some ways you can boost some income over Christmas and that would definitely a back up plan that trying to throw but don’t think ahead, its Christmas again and we get caught up accepting Christmas should be a bad time ..every year for the last 5 years, you have to stop and think about there is another way to do it or when you start thinking about it they go along to around 15th of December and then you left a little bit late. Is that what you were meaning? Brett: I wasn’t meaning too much too be honest, the thing I love about this conversation we are talking about..Donald trump in the story and the next thing you have just given away some really valuable information and if you are out there you really want to be taking notes and writing stuff down. We are not holding back anything its just taking strategies and just about implementing them and it is quite funny that you talk about Christmas and so forth and being a personal project of the day and I was asking what is the hardest time of the year and two obvious answers were Christmas and winter. If you look at winter for example you can give us a strategy for example of operates when it comes to that, if you are running an outdoor bootcamp or training, you need to be prepared when that’s a response people get when if you are not lucky enough to live in Queensland and other areas and mind it still get cold out there, I would highly recommend you take on the strategy, if you are an outdoor trainer and you do your one on one groups then what you need to be looking at is finding another avenue where you can train people. Go to schools halls, scout halls, we used to run our first boot camps in a scout halls we had fishing trophies around the wall, planks of peoples name and, it was a quite a weird environment but and to that area again is another that I highly recommend and I remember talking to Brad and he suggest to run some of the boot camp under ground cover. So I started getting creative and think how you can implement these things into your particular situations. Brett: I would definitely agree with that and I guess on that note I will get you on the podcast more regularly and get on with the discussion because this has been a valuable session today and everyone is going to take. Brett: I guess I can be recording this but definitely I can get you on the podcast more regularly and get on with the discussion because this has been a very valuable session today and I know everyone is going to take a lot of great things out of it. Jason: I’ll be the best one you will ever have again. A little 10 year old boy coming here just telling how he is. Brett: One last question to wrap it up. If you were a super hero which super hero would you be? Jason: Bat man, I know he is not a super human but I just like batman with all the cool toys. Brett: Have you seen the new superman. That might change your thoughts but lets leave it at that bat man Jason. Before we go where can the listeners find out more about you and what you guys offer at Create PT Wealth and how they can fast track their business success. Jason: What I really recommend is that you get a free chapter of our book if you haven’t already its www.personaltrainersguidetowealthcreation.com.au and that would be my recommendation if for some reason .au doesn’t come up then just .com but you can get the free chapter its on how to stand out from the pack, market yourself and the ever increasing. Market yourself out there that will be my recommendation. If you don’t like the chapter then I will urge you to do and grab the book. Brett: What I will do is I will put that link on the website as well and when you get to this particular podcast you will see the link to the personal trainer wealth creation if you are on itunes, you will be able to see that link and you will be able to get this recording but Jason thanks buddy for having us on call today. Looking forward to the next episode and I will talk to you later today or tomorrow and we’ll go from there. Jason: Thanks for having me on I wish everyone listening all the best success to their business and personal life.